I love it for the great memories it brings me. Saturday night drinking volcanic wine on Pico. Sunday morning travelling by boat to Faial (Azores) where we drank gin with slices of lime in the midst of a great gallery of scrimshaw work. 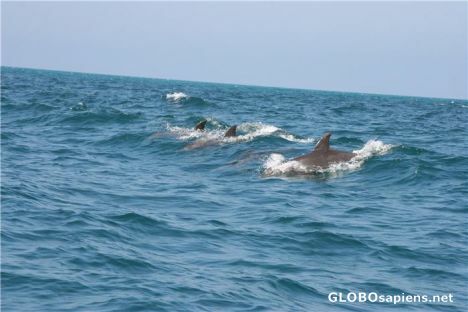 I know its another sea but i felt just as rocked in the great cradle of the deep as this picture evokes.A similar school of vibrant dolphins escorted our boat.